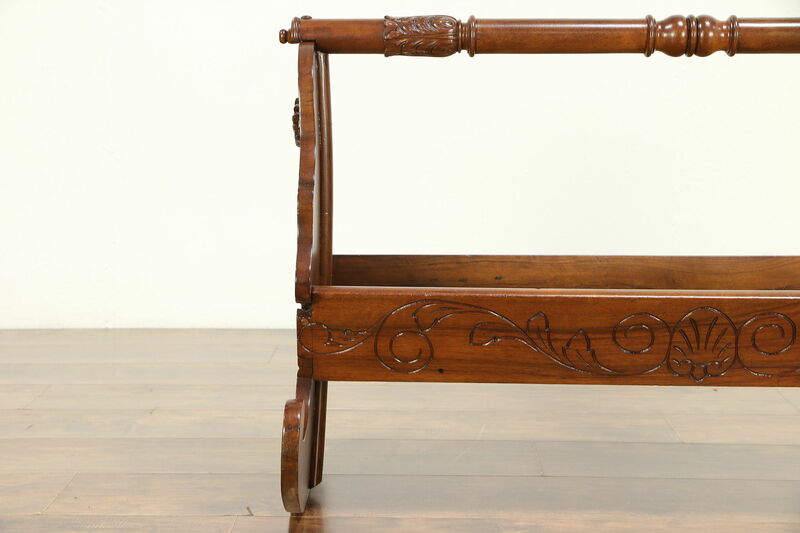 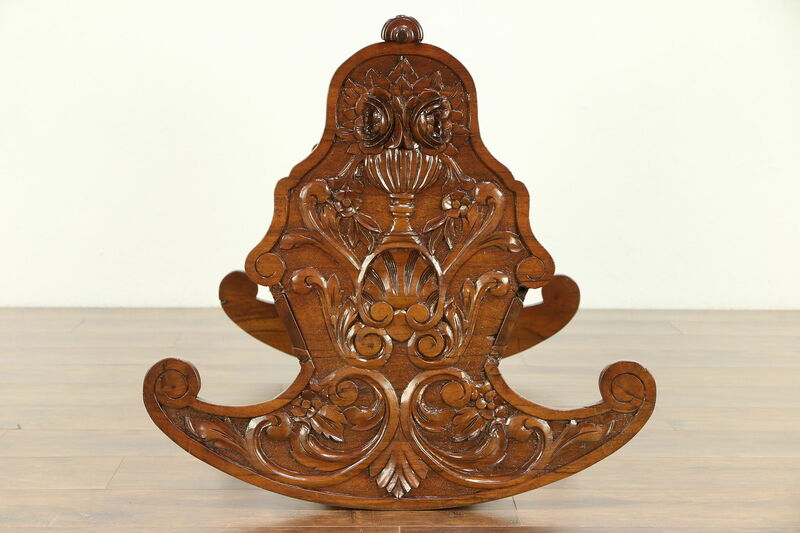 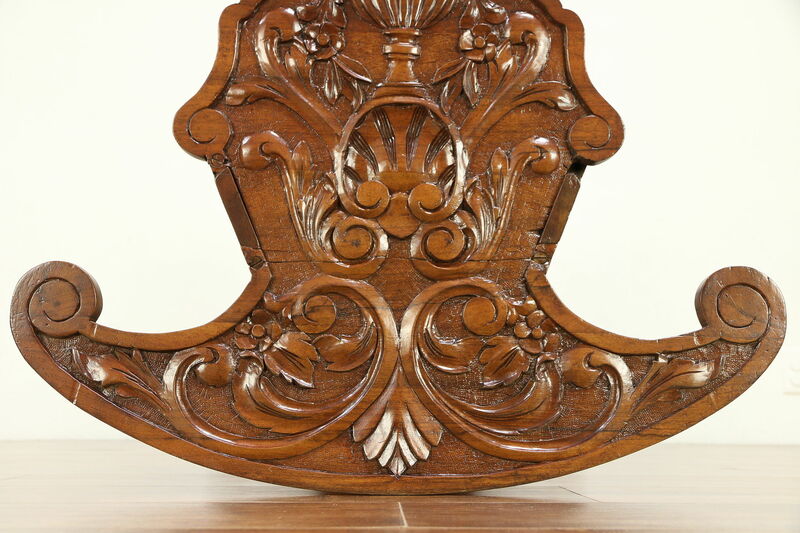 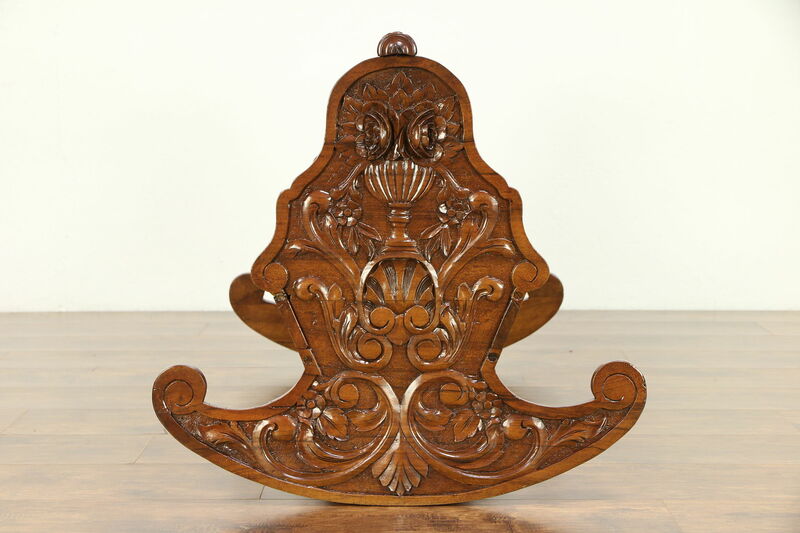 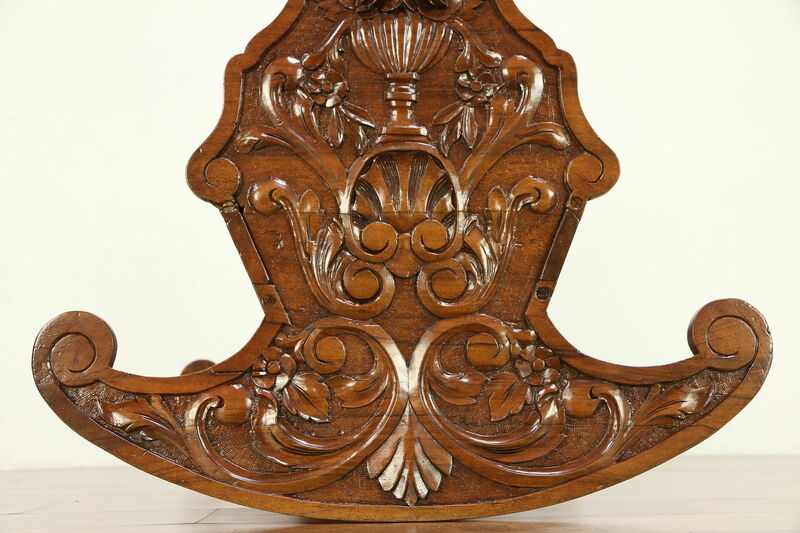 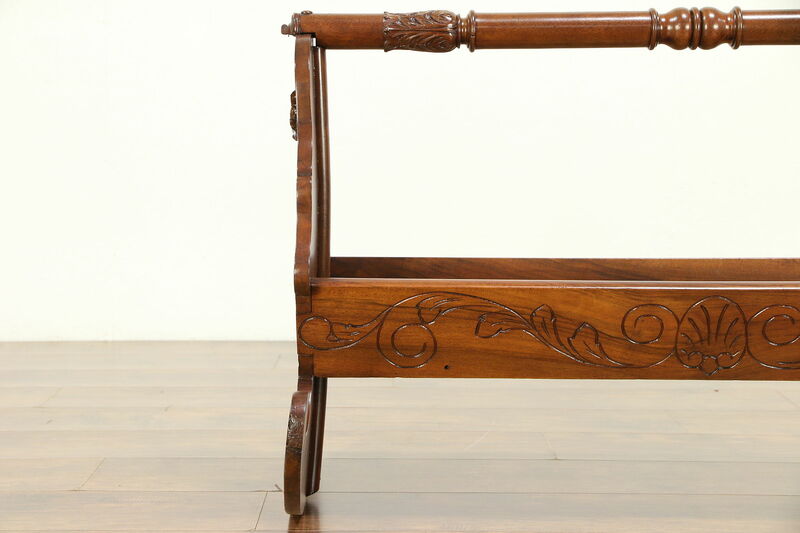 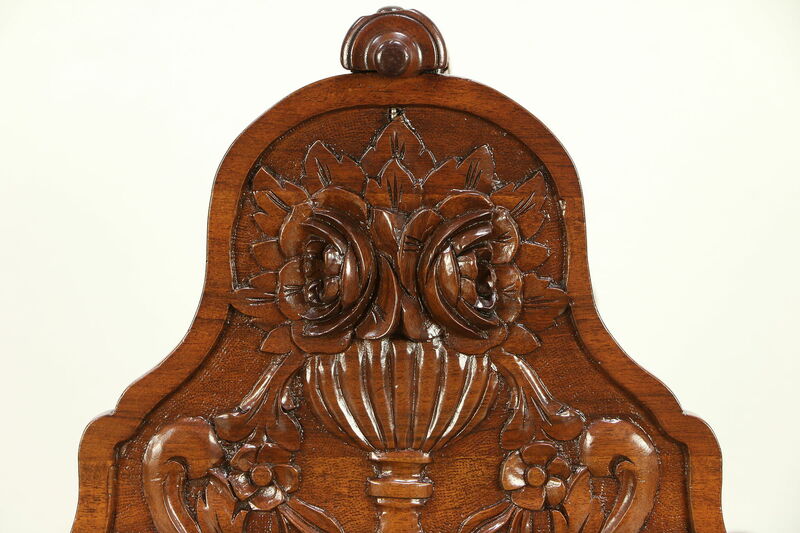 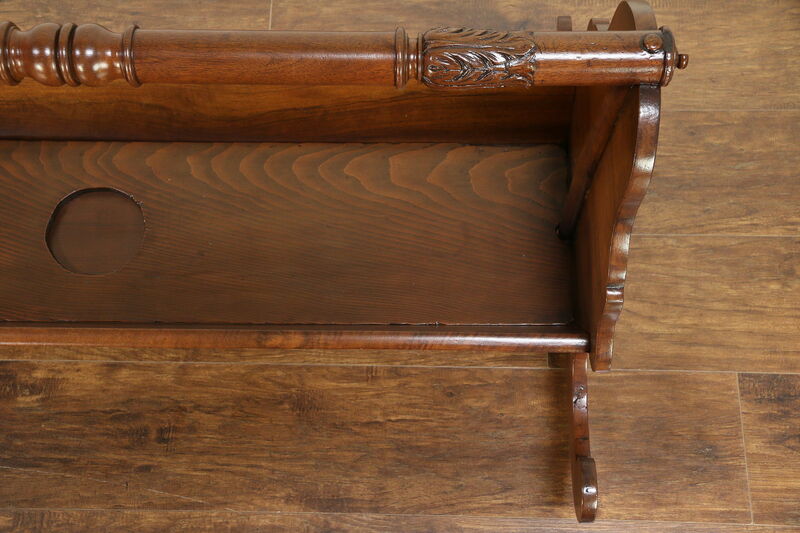 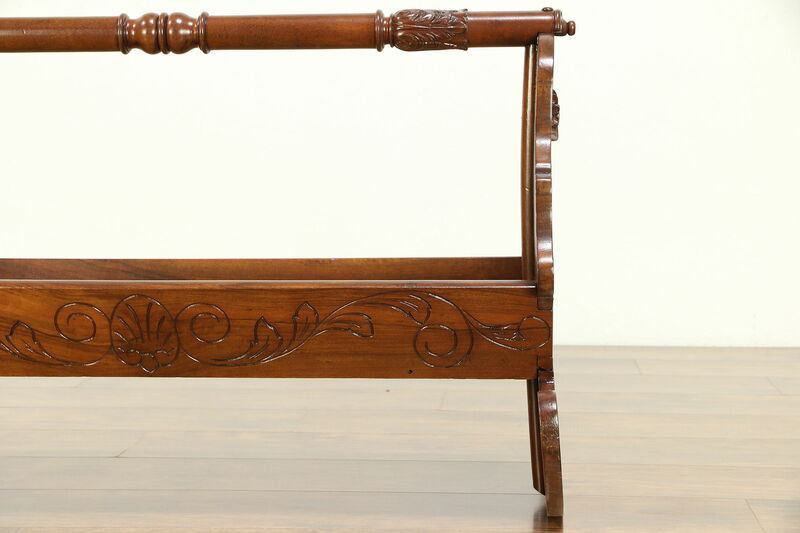 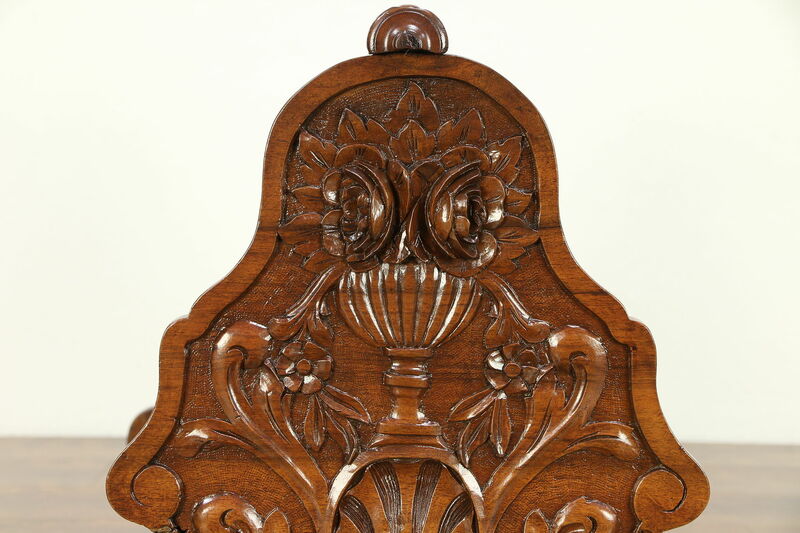 A solid walnut baby cradle was deeply hand carved in northern Italy about 1880. 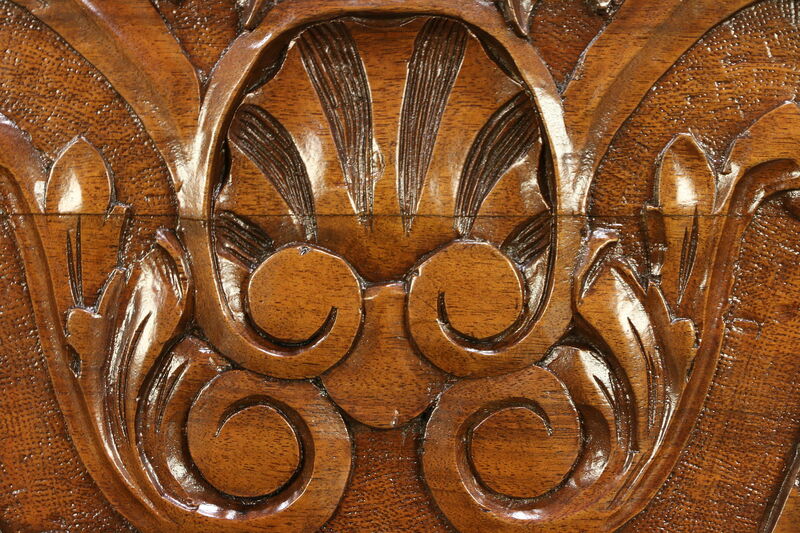 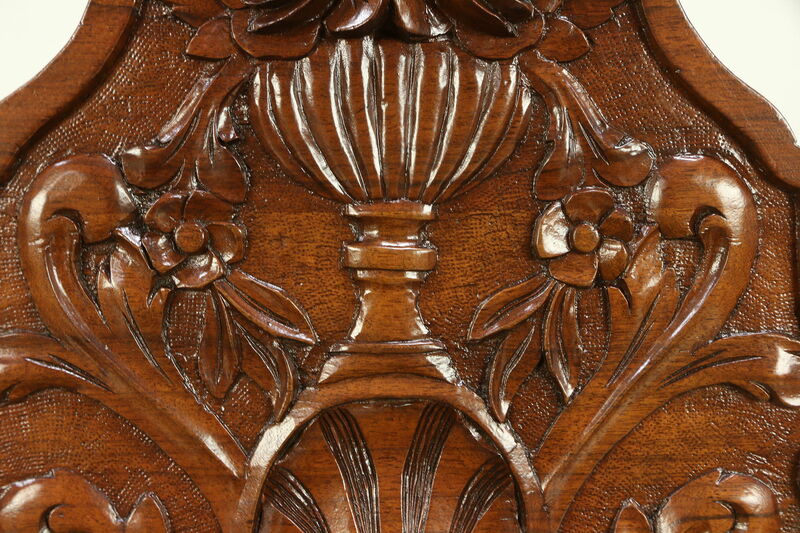 Exceptional fine detailing is enhanced with "tooled" background. 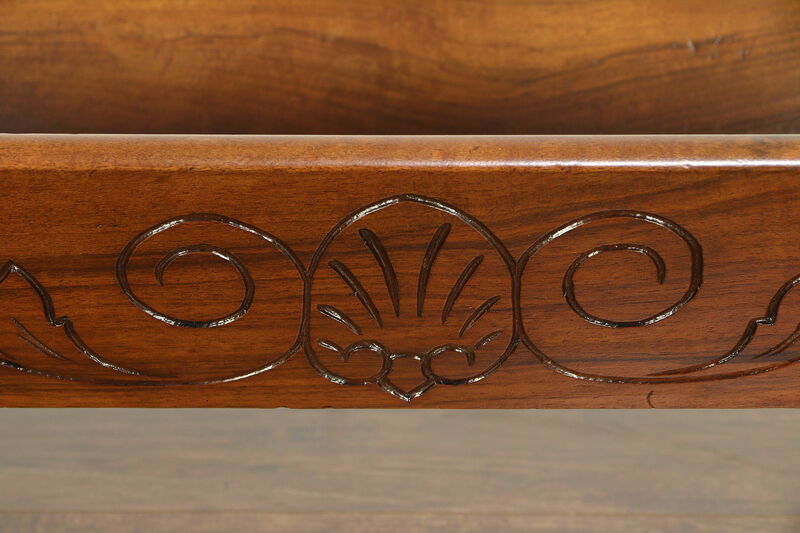 The restored finish is in excellent condition with warm antique patina. 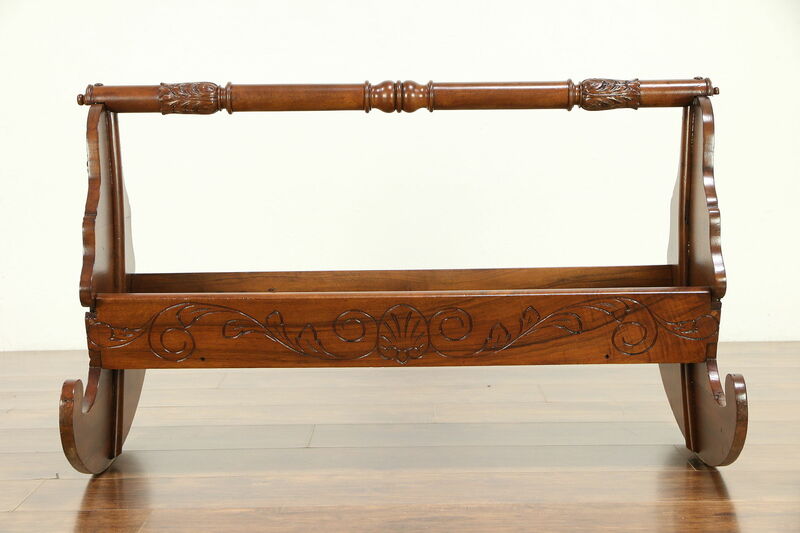 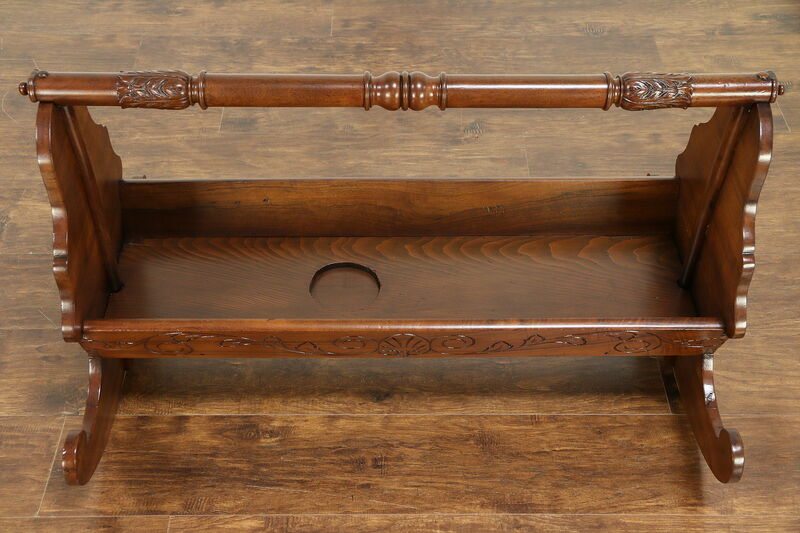 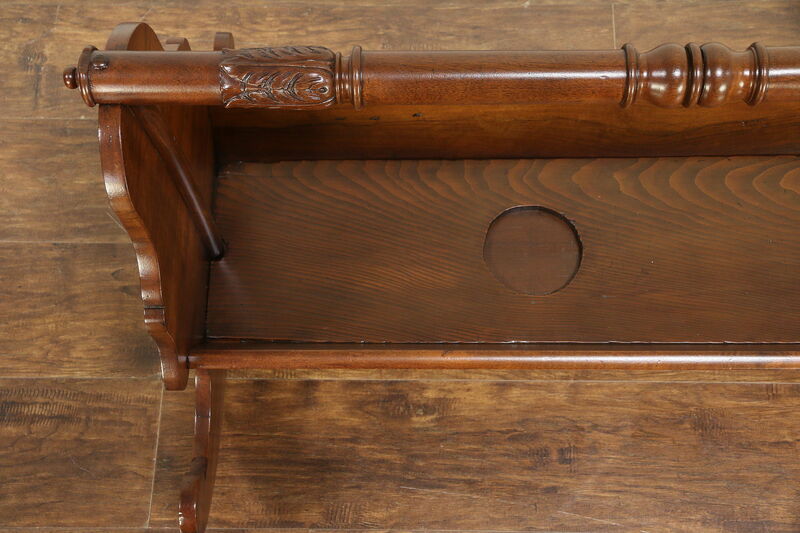 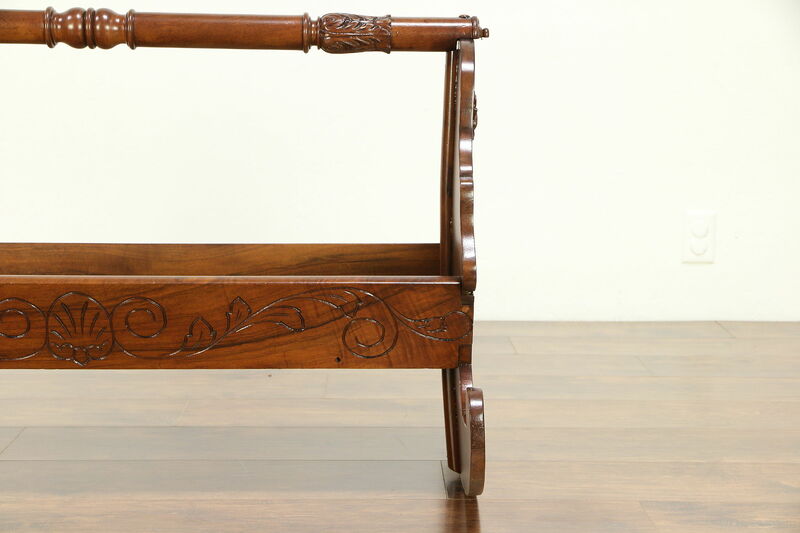 There are numerous small losses and old repairs on this antique rocking bed, see photos. 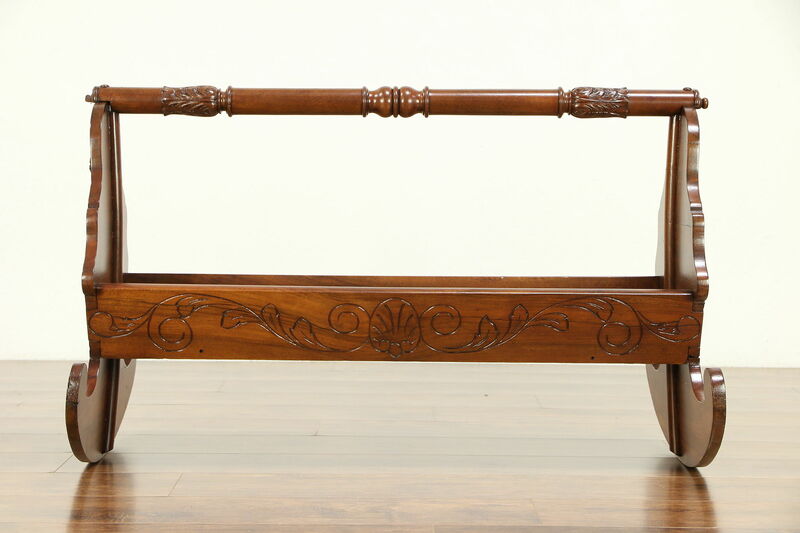 Measurements are 41" long, 26" wide and 25" tall.